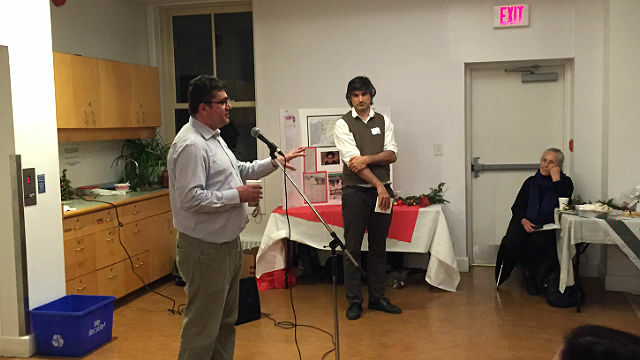 The Director of Jesuit Refugee Services in Syria, Fr. 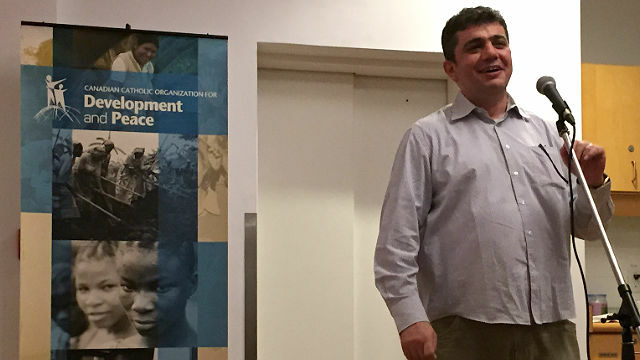 Nawras Sammour, SJ visited Toronto last week to speak about the ongoing civil war and refugee crisis plaguing his home country. 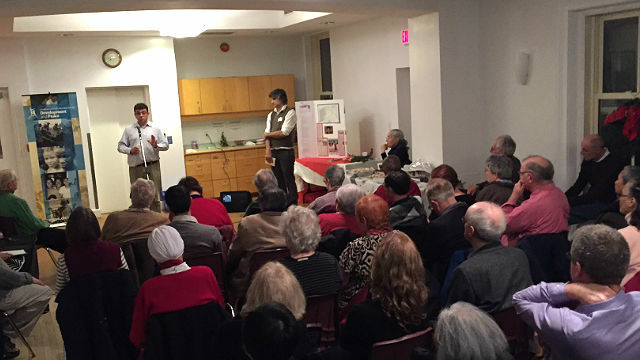 The event, which was co-hosted by Canadian Jesuits International and Development and Peace, was held at the Jesuit parish of Our Lady of Lourdes in downtown Toronto. Speaking to close to one hundred people gathered in the parish center, Fr. Sammour outlined the work of JRS Syria which includes emergency and ongoing medical care, and educational and psycho-social treatment. Their centers serve more than 35,000 families. Jesuit Refugee Services, which is supported in part financially by Development and Peace, does not consider religious or political affiliation when serving refugees. Anyone who is in need can come to their centers, where they will be served by professionals and volunteers who themselves come from diverse backgrounds. While millions of Syrians have fled to neighboring Arab countries including Lebanon, Turkey and Jordan, Fr. Sammour reminded everyone that the largest group of displaced persons are still in Syria. They have been forced to flee their homes and move to less-violent areas, and their stories are often ignored or quickly forgotten. Against overwhelming odds and dwindling resources, JRS continues its work accompanying refugees in their daily struggles. “We don’t have the right to do nothing,” said Fr. Sammour.